Grandpa is Jack’s favorite person in the world. It doesn’t matter that he wears his slippers to the supermarket, serves Spam à la Custard for dinner, and often doesn’t remember Jack’s name. 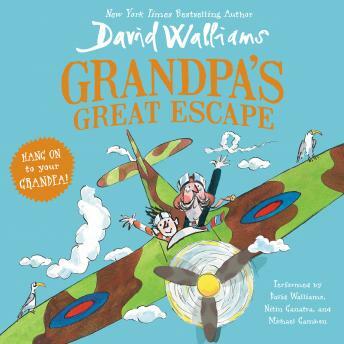 But then Grandpa starts to believe he’s back in World War II, when he was a Spitfire fighter pilot, and he’s sent to live in an old folk’s home run by the sinister Matron Swine. Now it’s up to Jack to help Grandpa plot a daring escape! Great book! The whole family 'read it' together in two day! We couldn't put it down!